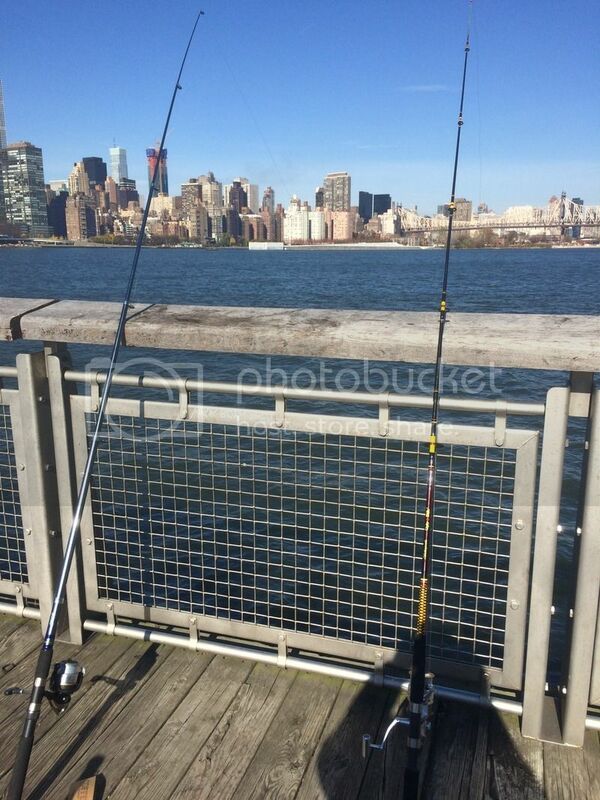 Since the spot on the Hudson river is really out of the way for me and the tackle is also inconvenient to bring to work with the much longer rods and fresh bait. 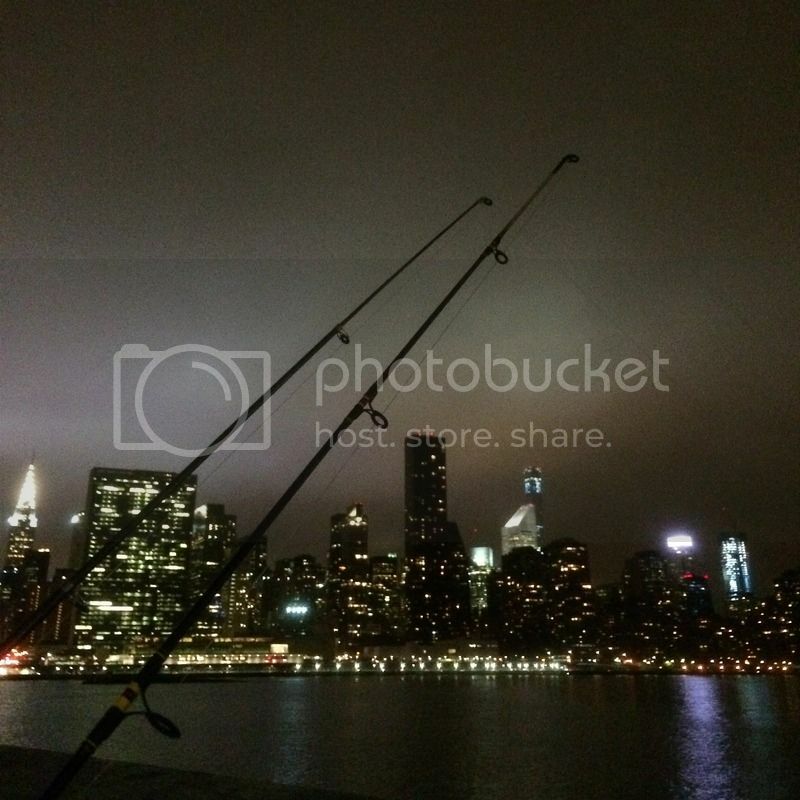 I settled for a fishing pier along the East River. I went out there after work on my foldable bike. And I caught them there too! Little schoolies! I was at this pier in the morning that Saturday and there were about 5 other anglers already with baits soaking in the water when I got there. One of them had landed a schoolie right before I arrived. But throughout the day there were zero hits on any of our rods. When it was close to sunset all of them left. 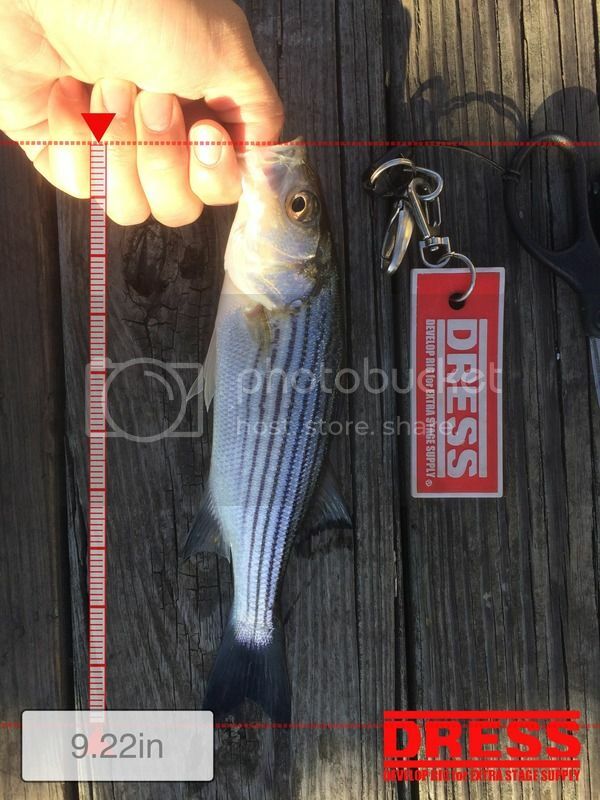 However, right when the last fisherman stepped off the pier, I started getting hits from the little schoolies and eventually landed my first decent sized striped bass! I was so happy that I was shouting “YEAH! 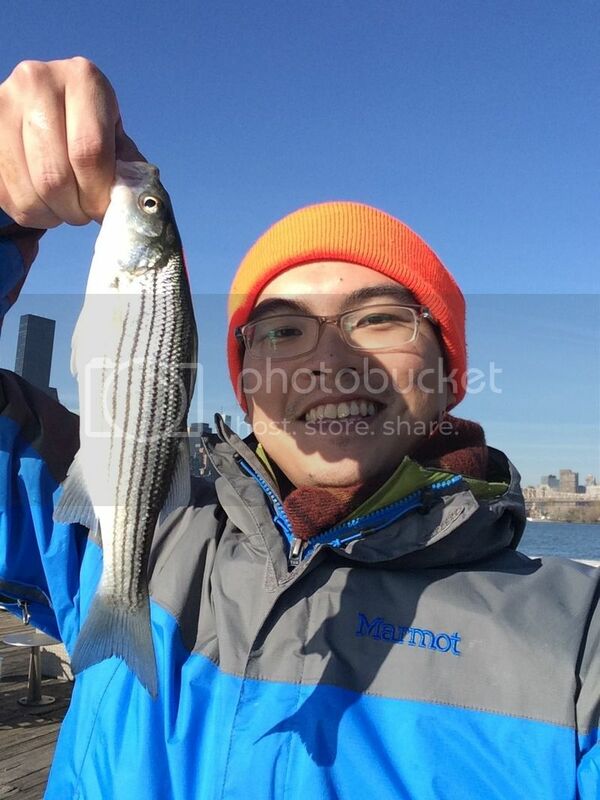 WHOOO!” when it fought more than the other stripers I’ve hooked up so far. 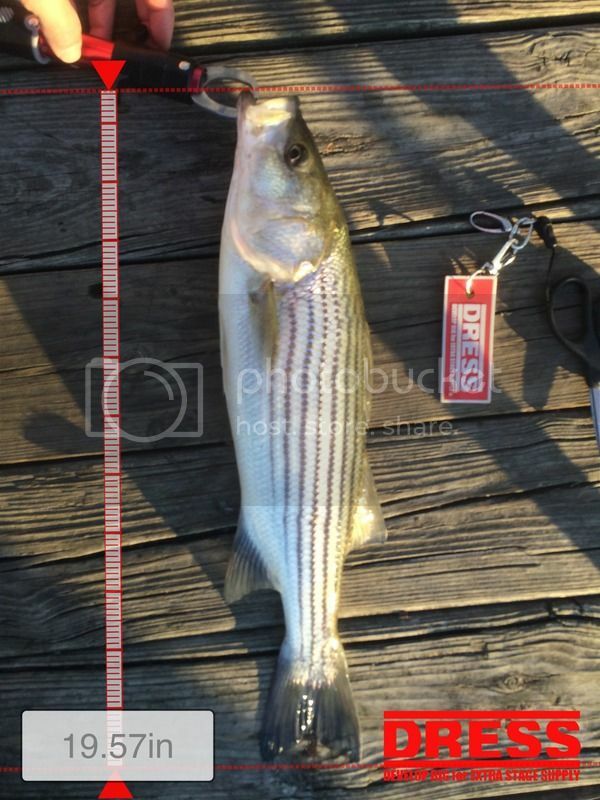 A keeper bass caught south of the Washington Bridge that crosses the Hudson river has to be at least 28 inches. 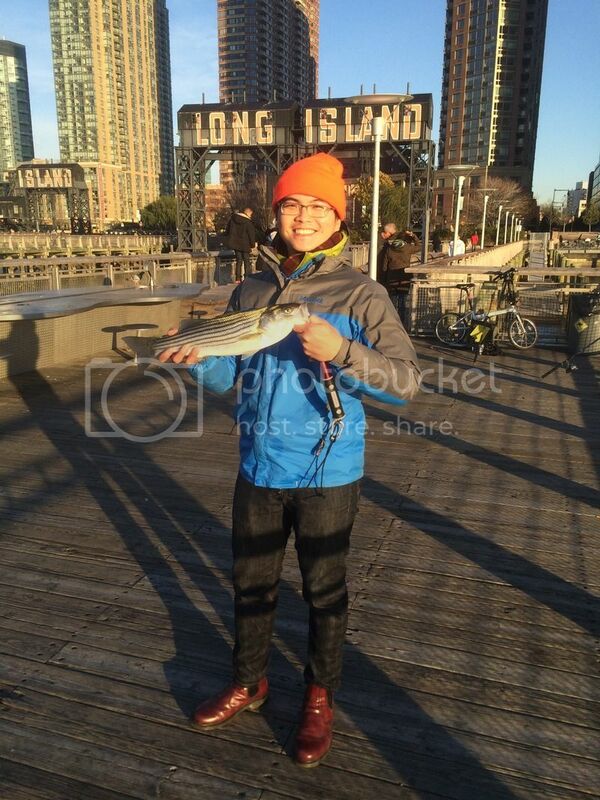 So happily I released this guy after a few photos with the help of the tourists on the pier.